Buyers love their luxurious but practical interiors, go-anywhere capability and high seating positions. If you’re looking for a mid-size model, your choice needs to be an Audi Q5 in Vaughan! The Audi Q5 is worthy of special attention because of its classy styling, practical, family friendly interior and generous trunk space. If you have been searching for a premium quality new or pre-owned SUV, then we recommend that you consider the Audi Q5. Our customers can find the Audi Q5 at our Pfaff Audi Vaughan dealership, or at our pre-owned sales facility at 115 Auto Park Circle in Woodbridge. Below are a few of the reasons why you should consider an Audi Q5! 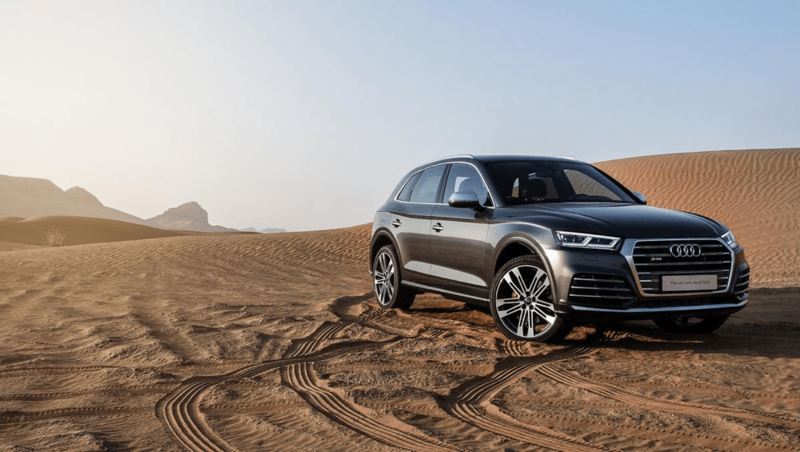 The Q5’s handling characteristics don’t make it feel like a large SUV, in fact, it changes direction with the eagerness and agility of a far smaller model. It’s great fun to drive, and the sportier SQ5 version is sharper still. The optional Dynamic steering system makes the Audi Q5 more responsive to drive. There’s no need to look beyond entry-level SE cars, as they come with everything you’re likely to need. Every Q5 gets leather upholstery, climate control, rear parking sensors, alloy wheels and automatic lights and wipers as standard. Of course, if you wanted to upgrade your trim level and features, you do have that option as well. Like most SUVs, the Q5’s high driving position gives you a commanding view of the road from most angles. Its rear visibility is also better than most rivals, and even entry-level cars come with rear parking sensors. The 2018 Audi Q5 has a zippy powertrain, so it has no problem getting up to speed. In fact, it gets from 0 to 60 mph about one second quicker than the 2017 model, which was already pretty fast. Since the Q5 has such excellent handling and steering, as well as the standard AWD, it has no problem navigating most roadways. It handles huge bumps with ease, drives with confidence in snowy terrains, and can go along dirt roads without a problem. If you have been considering the purchase of a new or pre-owned Audi Q5 in Vaughan, then our Pfaff Audi Vaughan dealership is the place for you. For those customers looking for used vehicles, we suggest that you visit our pre-owned sales facility at 115 Auto Park Circle in Woodbridge. For more information about the Audi Q5 in Vaughan, please feel free to continue browsing through our website. Click here to find our contact information, schedule a test drive, or to fill out our contact form.